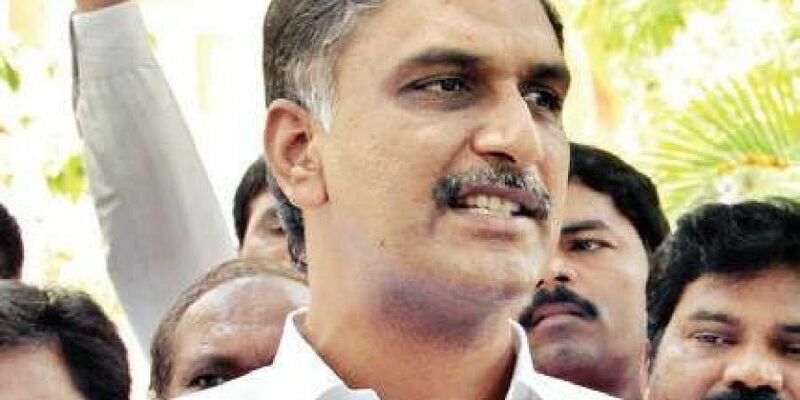 Telangana Rashtra Samithi’s senior leader and Minister Harish Rao visited different constituencies in the erstwhile Medak district to settle issues with the party’s dissident leaders. SANGAREDDY: Telangana Rashtra Samithi’s senior leader and Minister Harish Rao visited different constituencies in the erstwhile Medak district to settle issues with the party’s dissident leaders. The TRS leaders, R Satyanarayana from Sangareddy, Ramulu Naik from Narayankhed and Murali Yadav from Narsapur constituency were upset as they were denied tickets in their respective constituencies for the forthcoming elections. Since Harish Rao’s earlier meetings with the dissident leaders went in vain, this time the Minister personally visited the constituencies and talked to both groups of leaders in the respective areas to iron out the issues. According to party sources, the meetings proved fruitful as the leaders ‘reached an understanding’ and the ‘internal problems were solved’. Later, Harish Rao speaking to media said all the internal disputes within the party have been resolved. On Thursday, the Minister visited Narayankhed constituency and held meeting with dissident Ramulu Naik. Harish Rao later said a meeting will be arranged between Ramulu Naik and Bhupal Reddy, who has been given the Narayankhed ticket, in a couple of days to sort out the differences. Later, the Minister Harish Rao left for Sangareddy on the same day. On Friday morning, Harish Rao, along with Sangareddy TRS candidate Chinta Prabhakar, went to R Satyanarayana’s residence on Friday. During an hour-long meeting, Satyanarayana, a former MLC, and his supporters told the Minister that they were upset as they are being ignored by Sangareddy MLA Chinta Prabhakar and State leadership. Harish Rao, while recalling Satyanarayana’s involvement in the struggle for Telangana statehood, assured that the later will be given ‘special identity at State level’ and it will be ‘his responsibility to ensure that’. Satisfied with Harish Rao’s assurance, R Satyanarayana vowed to work for the success of TRS party in the coming elections. Sangareddy: Minister T Harish Rao said that elections in the State are between development and opportunism. Speaking to media at Sangareddy, he said that TRS has taken up various development programmes in the last four years. He said people will teach a lesson to opportunist Congress. The minister added that he had asked TPCC Chief Uttam Kumar Reddy twelve questions but he had not answered even one of those.